The Athens Area Tool Shed program offers a large inventory of tools ranging from gardening tools to renovation tools to assist you and your volunteers with community improvement projects. To reserve tools, complete and submit a Tool Reservation Form (Fillable Excel) or PDF Form as far in advance of your project as possible. Forms should be emailed to Stacy.smith@accgov.com. Quantities of tools are loaned on an as available basis and those using the tools must schedule a time with KACCB staff to meet at the tool shed to pickup and return the tools. Tools must be cleaned prior to return. 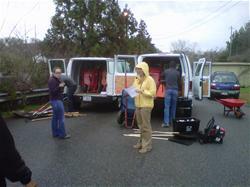 The Tool Shed Program always accepts donations of tools for community use. 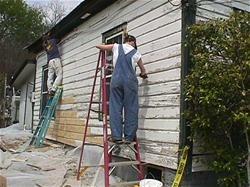 All tools are needed, including hammers, power tools, lawn and gardening tools, and painting supplies. Only donate tools in good condition, please! Donations are tax-deductible and can be dropped off with KACCB. Call KACCB for more information at 706 613-3501 ext. 312. Toolshed pickup and drop-off is by appointment only. Invasive plant removal tool kits are available for rent by groups or organizations looking to get involved in habitat improvement projects in local parks and green spaces. Kits include hand-saws, pruners, loppers, flagging tape, crowbars, and gloves. For more information about invasive management identification or management techniques, contact Lauren Muller, Coordinator for the Northeast Georgia Invasive Plant Cooperative at lauren@athenslandtrust.org or call (706) 613-0122. From downtown: Take College Avenue towards MLK Parkway. The gate to the tool shed is on your left after you pass Cleveland Avenue. From the loop: Exit at MLK Parkway/441 and head South. Make a right on College Avenue. The gate to the toolshed is on your right after you pass the Oconee River and Elizabeth Street. Enter the chain-link area. The Tool shed is in the main CHaRM building to your right. Park in the parking area inside the cones.